FHR Radio (Fire House Radio) is an Independent Online Radio station who strives to bring you the best music, both Nationally Known and Independent. We play music in the Country, Pop and Rock genre. We also air live shows with our Dj's and special shows, stay tuned to the schedule page for details and times. FHR Radio Entertainment is a fully licensed radio station through our license provider LIVE365 for BMI, ASCAP, SESAC and Sound Exchange. 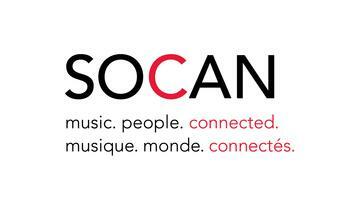 In Canada, we are licensed through SOCAN and Re:Sound. In the UK we are licensed through PPL and PRS. We also have direct agreements with numerous artists and record labels in the USA and around the world that authorized us to play their music. Live365 handles our record reporting requirement and our royalty payments as required by law. 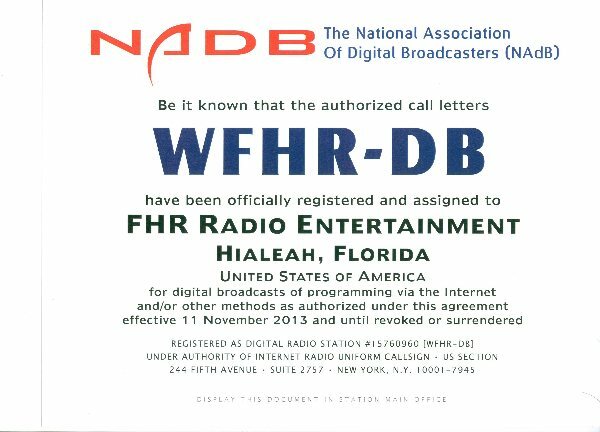 Although we use the call letters WFHR-DB which stands for WFHR Digital Broadcaster. We are not affiliated with WFHR Wisconsin which is a licensed AM radio station. There is a difference between WFHR-DB Online and WFHR 1320 AM. We are two separate licensed radio stations. This is allowed under FCC rules because the FCC does not govern online radio stations. Online radio stations are licensed through the different Performance Rights Organizations as required by U.S. Law and the laws of other countries. FHR Radio Entertainment is an independent community radio station. We seek to stimulate, educate and entertain our audience, to reflect the diversity of the local and world community, and to provide a channel for individuals, groups, issues and music that have been overlooked, suppressed or under-represented by other media. Though we broadcast music in the country/pop genre, we strive to provide the independent artist an avenue to have their music heard, an avenue that is not always provided by other media. We are proud to be able to bring the voice of the independent artist to communities around the nation. FHR Radio was founded in 2004 and officially broadcasted for the first time on Feb 2005 by Orlando H and Jeremy S.
From Jan - Nov 2013 our website has been visited by folks from 120 different countries. FHR Radio does maintain a tweeter account. FHR Radio will only contact people that we know personally, people that contact us from a professional point of view and those who authorize us to play their music and we hold verbal and or written contracts with them according to established rules and regulations. If an email does not come direct from one of the above email accounts, than it did not come from fhr radio. Through the years other websites featuring the letters FHR have popped up on the internet. By using the features of our website, you assume total responsibility for the use of the site and the services it provides. Fhrradio.com provides the site and related information "As Is" and does not make any express and implied warranties, representations or endorsements whatsoever with regard to the site, any merchandise information or service provided through the site. Fhrradio.com shall not be held liable for any cost or damage arising either directly or indirectly from any such transaction. It is solely your responsibility to evaluate the accuracy, completeness, and usefulness of all opinions, advice, services, merchandise and or programs provided through this site. Fhrradio.com does not warrant the service will be uninterrupted or error-free. The above include any award program we may make available on this site.